Guilt-free shopping just got so much easier thanks to a brand new eBay destination called “Under $10”. Not only are there millions of items but shipping is free and there is no bidding required. The streamlined process takes the guess-work out of calculating shipping fees and removes the ‘when is my auction-ending?’ anxiety. From $5 sunglasses to $8 iPhone cases, the “Under $10” destination offers shoppers millions of all-new items that will not break the bank, all in a single destination. Beyond category, shoppers can browse trending items by price - such as “Tech under $3” and “Beauty under $10” - across men’s and women’s apparel, fitness, kitchen gadgets, home décor, entertainment, and more. For over 20 years, eBay has been at the forefront of developing Connected Commerce for the world where everything and anything is available for a price. So much so that every month eBay connects 8-million Canadians with buyers/sellers from around the world. 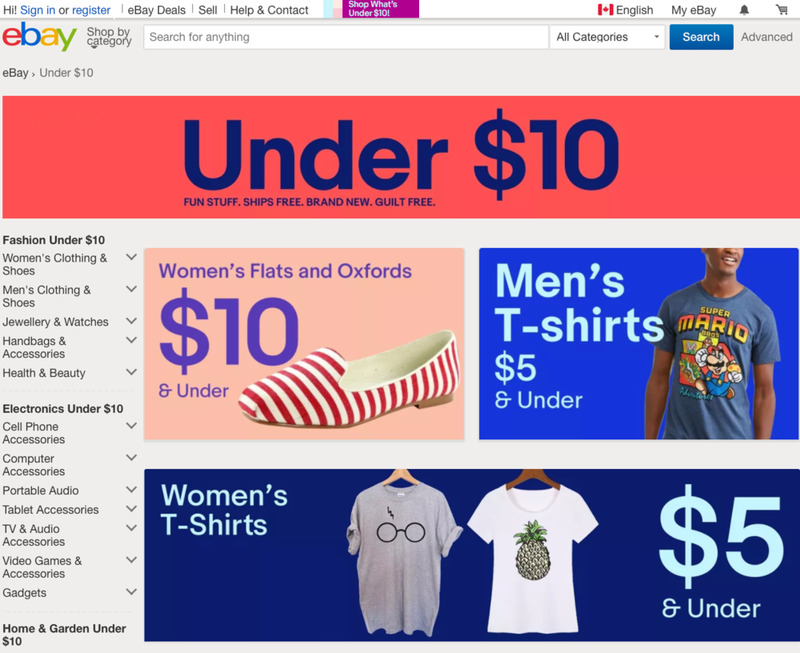 eBay is the world's largest and most vibrant marketplace for discovering great value, unique selection and with the addition of the “Under $10” section that makes it so convenient to bargain shop from home.